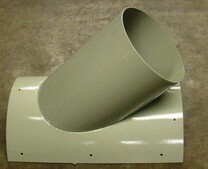 45 Degree Inlets | Honeyville Metal, Inc. 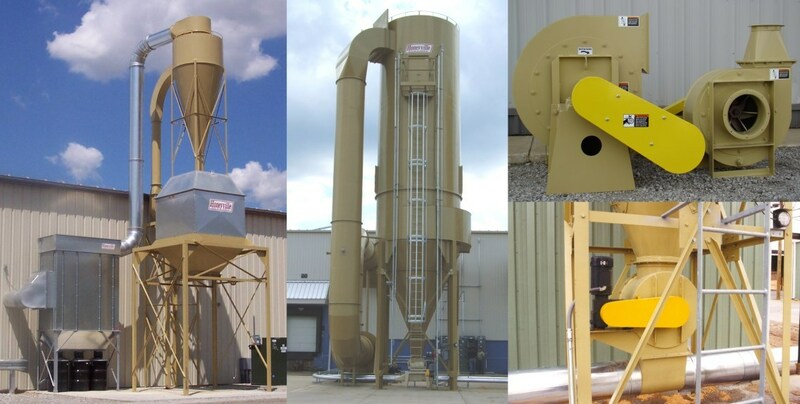 The 45 degree inlets manufactured by Honeyville are used when a smaller branch or takeoff line is connected to your system's main trunk-line. The saddle is correctly sized to fit onto the larger pipe and then an oval opening is cut where the inlet will be placed. 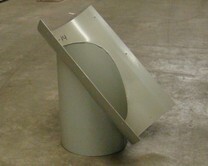 Inlets with custom angles can be made as needed.